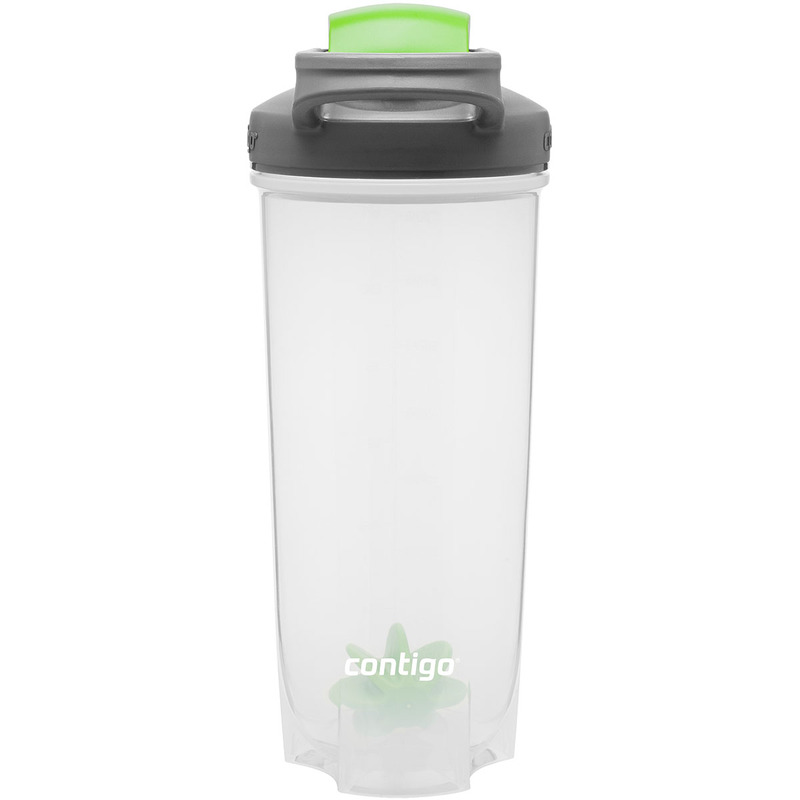 28 oz single wall polypropylene bottle with rounded bottom and mixing ball for easy mixing and cleaning with flip top threaded lid and carrying handle. Hand wash recommended. Imprint Area: 3" x 3.75"